Launched in 1999, the GWACC Gift Coin program was developed as part of our commitment to support local businesses. Created to compete with credit company gift cards, these coins are purchased local and spent local! 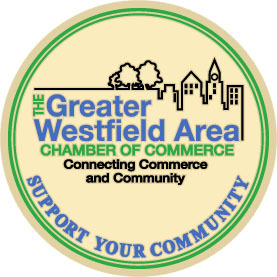 The GWACC sells $25 gift coins that can be used in place of cash at approximately 90 businesses and restaurants in the 5 towns we serve: Fanwood, Garwood, Mountainside, Scotch Plains and Westfield. And they never expire! Coins can be purchased at the GWACC office at 212 Lenox Ave, Westfield, Baron’s Drug Store - 243 East Broad Street, and Patricia and Paul - 20 Elm Street . We accept cash or credit card. A $2.50 transaction fee applies whether you buy 1 - 1,000 gift coins. Adler’s Jewelers - 217 North Avenue W.
Chez Catherine - 431 North Avenue W.
Chill Cryotherapy - 327 South Avenue W.
Evalyn Dunn Gallery - 549 South Avenue W.
Everlasting Haven Spa & Wellness Studio - 227 South Avenue W.
Jay’s Cycle Center - 227 North Avenue E.
Just Bead Yourself - 113 Central Avenue, 2nd Fl. Manhattan Bagel - 210 South Avenue W.